It’s time to start planning menus and décor for all your upcoming game parties! Whether you like to host a big bash, go to someone else’s house, or just stay home with your cozy bunch, you can use this post. 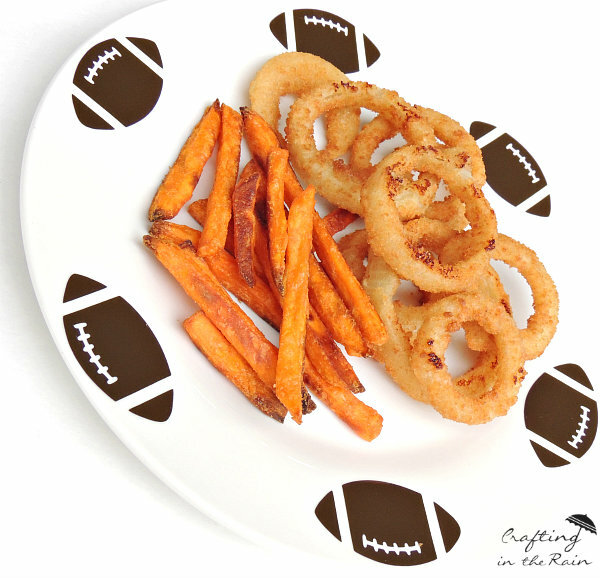 A few decorations and tasty snacks go a long way to make the day fun, even if your team ends up on the wrong side of the score board. 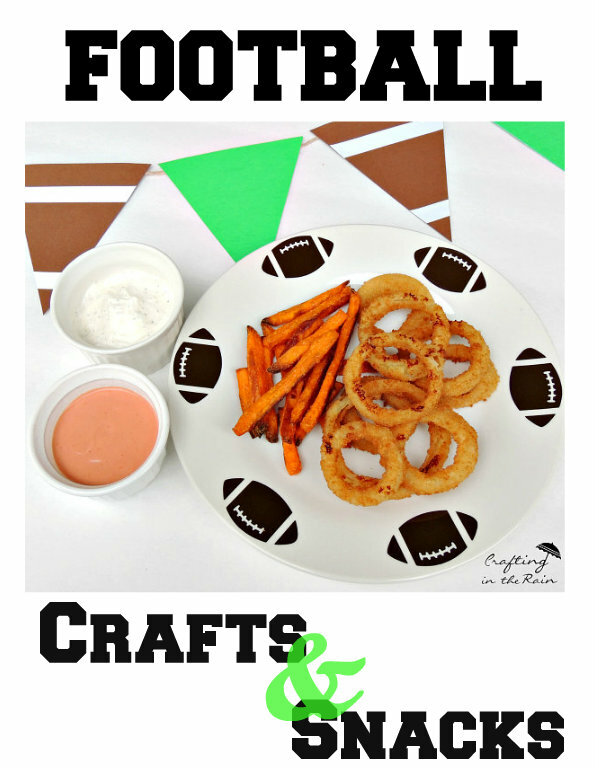 I’ve got two easy recipes and two simple crafts to get your game day table ready. 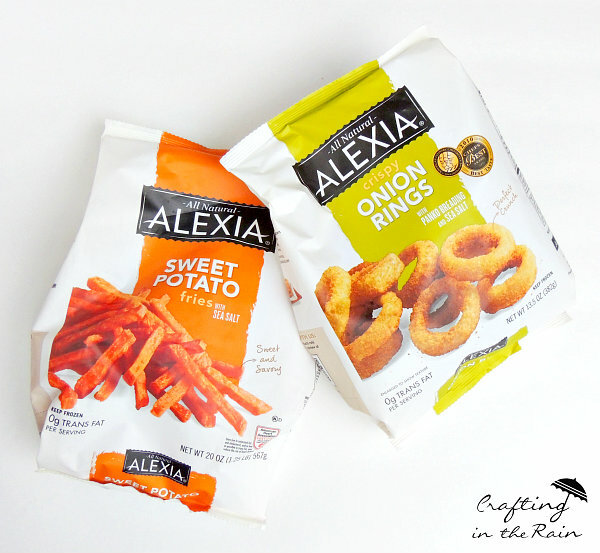 Alexia foods has great options for making yummy football snacks. 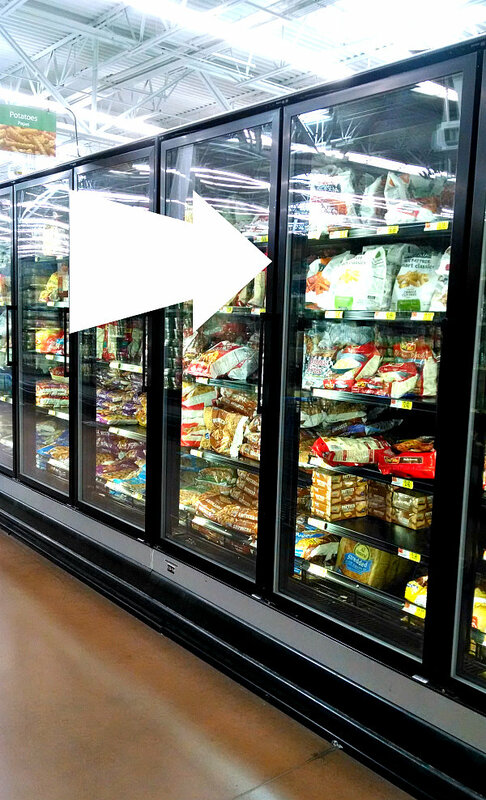 While at Walmart I picked up bags of Crispy Onion Rings and Sweet Potato Fries and I created a separate dip for each. Make sure to grab the other ingredients on your list too. ½ tsp pickle juice (from a dill pickle jar.) This is my mom’s secret ingredient—it doesn’t make it taste like pickles, but it adds just a little tang. 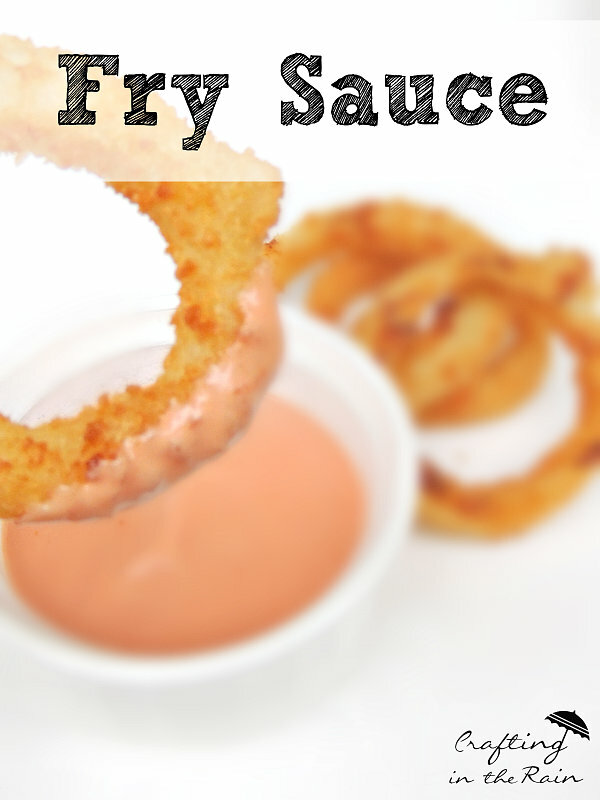 Blend thoroughly in a bowl and refrigerate while oven heats and the onion rings bake. 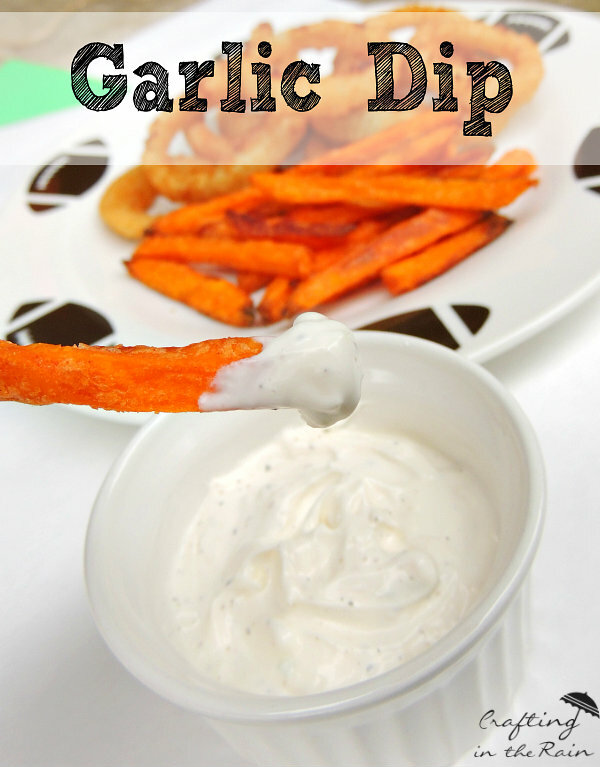 Blend thoroughly in a bowl and refrigerate while oven heats and the fries bake. 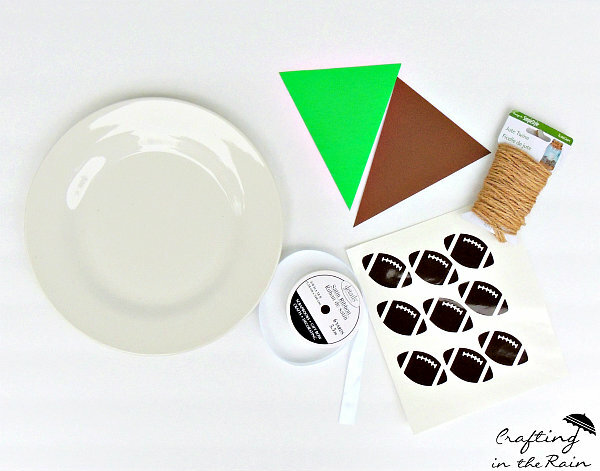 Cut 6 small vinyl footballs [Download svg here] and place them around the edge of the plate. By using the outdoor vinyl you’ll be able to handwash this plate with no problem. (Dishwasher might even work too but I personally haven’t tried it yet.) And now you can use it on any game day. Add white ribbon to the top and bottom of the brown triangles, about an inch from the edges. Glue twine to the back of each triangle, alternating brown and green, and hang. 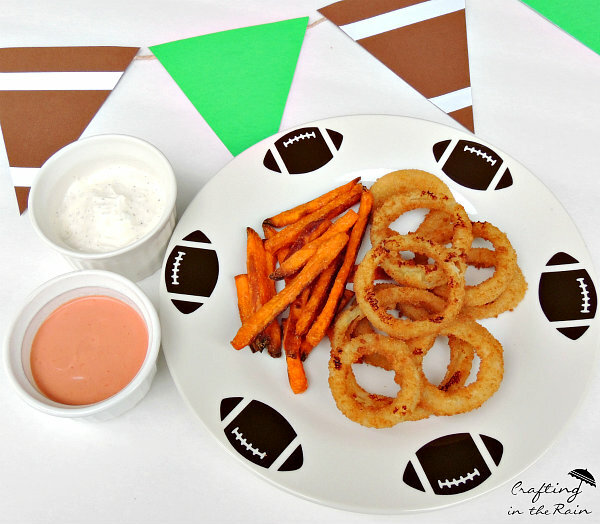 Now all you have to do is load up your plate and cheer for your team! What do you like to do for fun and snacks on game day?